Andrew: What’s inside the box? 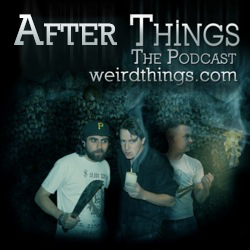 Posted in After Things Podcast, Podcast | Comments Off on After Things – Refine! Podcast – I’d Say Shoo! Posted in Podcast, Podcasts | Comments Off on Podcast – I’d Say Shoo! You are currently browsing the Weird Things blog archives for May, 2016.